In 1997, the Chicago Housing Authority moved Twanna Johnson and her four children out of a Cabrini-Green high-rise on Chicago’s Near North Side. With the help of a federal Section 8 rental subsidy, Johnson, 31, moved more than eight miles south to a privately-owned apartment in Washington Park. Hoping to maintain stability for her children while the family waited to move back to a redeveloped Cabrini, Johnson kept them at the Cabrini-area schools they have attended since kindergarten. That decision turned out to be wise. Her old high-rise at 1150-60 N. Sedgwick St. has been demolished. And since 1997, Johnson has moved three times, from one end of the city to the other. Without the option of schooling at Cabrini, the children, now ages 5 to 11, would have been shuttled from school to school, she said. Every school day, Johnson puts the children on the No. 70 Division bus and rides with them from the Far West Side to their old Cabrini-area schools. Her family is one of 2,652 displaced from the CHA between 1995 and 2000 who have used Section 8 vouchers to settle in new homes. Nearly 5,700 CHA residents have transferred out of 23 elementary and middle schools that serve the five CHA developments undergoing the most rapid change. They are: Addams-Brooks-Loomis-Abbott (ABLA) on the Near Southwest Side, Cabrini-Green on the Near North Side, the Henry Horner Homes on the Near West Side, and the South Side’s Ida B. Wells/Madden Park Homes and Robert Taylor Homes. The children who lived in them have transferred to hundreds of schools, most on the South and West sides. Another 996 children moved to the suburbs or out of state. 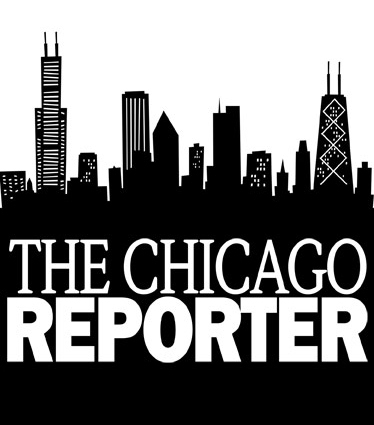 Adjusting to new schools or traveling long distances to attend their old neighborhood schools are two of the consequences facing children who move out of public housing, according to a joint investigation by The Chicago Reporter and CATALYST: Voices of Chicago School Reform. The Reporter and CATALYST compared demographic and academic data for the 23 schools with the 421 “destination” schools the students now attend. Data collected by the Consortium on Chicago School Research, an independent non-profit that assesses school reform, shows that the number of CHA residents attending the 23 schools dropped by 35.5 percent to 6,616 in September 2000. As of last fall, 720 students who have left the five CHA developments since 1995 still attended their original schools. –¢ In March 2001, about 733 former CHA residents were receiving transportation assistance to travel back to their former schools, up from 200 last fall. But school and housing officials disagree on who should pay for it. –¢ Most of the students now attend schools that are as racially isolated, and have similar concentrations of low-income and low-achieving students, as the ones they left. Experts say these schools are already under stress and probably cannot help students make a transition. –¢ Chicago Public Schools officials acknowledge they have no formal programs or policies to ease the transition for students who must transfer because of CHA redevelopment. Chief Officer of Schools and Regions Blondean Davis told the Reporter the system has many programs that help all low-income students, but she pledged to do more to prepare schools for CHA families. In September 1999, the public schools began providing busing or free Chicago Transportation Authority passes for students who leave CHA developments. But the schools guarantee those students transportation for only one academic year, Davis said. After that, many will have to transfer or pay their own way. But that position is not “written in stone,” Davis said. For instance, if a principal requests that a child stay at a school beyond one year, or a displaced family has “moved three times in three years,” they could qualify for additional assistance. Scott, 29, who makes $6.50 an hour as a housekeeper at the United Center, would have to pay $180 a month for her children’s bus passes. More than 90 percent of CHA families earn less than $20,370, 30 percent of the Chicago-area’s median annual income, CHA documents show. But Marilyn F. Johnson, general counsel for the Chicago Board of Education, said that provision was meant “to promote desegregation” and “is not operative now.” The CHA transportation policy is modeled on a plan to provide transportation for homeless students, she said. Mary Sistrunk and her six children, ages 2 to 12, have moved four times since Nov. 18, 1997, when they left 5323 S. Federal St., a now-demolished Robert Taylor Homes high-rise. The children switched schools each time. “My kids used to be A and B students, but now mostly get Cs,” said Sistrunk, 29. Although every Section 8 apartment she rented passed an initial quality inspection, they later failed, forcing the family to move, Sistrunk said. Federally subsidized housing is subject to annual inspections. Every time she enrolls her children in a new school, she has “a one-on-one with the principal” and meets with teachers. Some principals have disapproved of the family’s frequent moves, she said. “I try to explain to them [that] I fight hard to keep them in school,” Sistrunk added, but without a job or a car, she can’t afford to take the children far from home. Moves are not uncommon among former CHA residents, said Jennifer O’Neil, deputy director of CHAC Inc., a subsidiary of Quadel Consulting Corp. Quadel is a Washington, D.C.-based firm the CHA hired in 1995 to run its Section 8 program, which provides housing subsidies to low-income Chicagoans renting private apartments. In 2000, 425 families who were displaced from the CHA and are using Section 8 subsidies moved to other apartments. O’Neil estimates that “half move because they want to, and half move because they have to.” Most often, a family must move when its Section 8 apartment fails an inspection and the landlord fails to correct the problem, O’Neil said. However, even some “voluntary” moves are not necessarily by choice. When Twanna Johnson moved to Washington Park, “gang bangers” made it “hard to get in and out of the house,” she said. She moved to Logan Square on the Northwest Side, but her building was sold, so she moved to another apartment in Austin. Her 11-year-old son Stefon attends F.V. Schiller Middle School, 640 W. Scott St., and her three younger girls go to George Manierre Elementary School, 1420 N. Hudson St., both in the Cabrini area. Every day Johnson takes her children to school, then goes to work as a parent patrol officer for the Alliance for Community Peace, a church-sponsored group that provides security for Cabrini-area schools. She also attends Malcolm X College, 1900 W. Van Buren St. Her children typically participate in after-school activities at a Cabrini-area church or visit with Johnson’s mother, who still lives in a Cabrini high-rise. She considers her family’s displacement from Cabrini temporary, and wants to return. In August 2000, Cabrini tenants settled a 1996 federal lawsuit against the city and CHA that guaranteed 700 units for displaced families, but the CHA will not complete those units until the end of 2007, agency plans show. In 1998 Kimberly Scott moved to Auburn Gresham to care for her ailing grandmother, and transferred her children in the middle of the school year to Mahalia Jackson Elementary School, 917 W. 88th St. The transition was difficult, Scott recalled, and the children soon fell behind in their studies. Her grandmother died later that year, and Scott moved back to Cabrini, bringing her children back to Jenner. They moved again in February. “I didn’t feel it was fair to them to pull them out in the middle of the school year like that again, and have them go to a totally different school, trying to get used to the teachers all over again,” she said. So Scott wakes every weekday at 5 a.m. and joins her six children on the No. 8 Halsted bus for the ride to Jenner. The school pays for the children’s bus fares. Six Chicago Public Schools buses bring children, mostly from the West Side, to the Richard E. Byrd Community Academy at 363 W. Hill St., near the Cabrini Extension Homes North. “Five years ago, we had three,” said Principal Joseph F. Gartner. The development, now mostly demolished, was emptied several years ago to make way for a mixed-income community. As of September, 50 former residents returned to Byrd each day, consortium data show. In September 1999, the schools decided to provide transportation aid to students displaced from public housing, Davis said. Then last December housing and school officials informally agreed that if any student is displaced by redevelopment during the school year, “we will pay for that busing,” said Sharon Gist Gilliam, chairperson of the CHA’s Board of Commissioners. Only children who are relocated outside a development because a building is scheduled for closure should be included, Gilliam said. So far, the CHA has identified only 61 such students, she added. But Davis said assistance should be available for any CHA family who moves, if a parent wants a child to remain in the school. As of March, 733 former CHA residents were getting transportation aid, school officials said. Davis said the schools have sent the CHA two invoices itemizing their monthly costs, one for January for $89,764 and another for February for $92,989. The agencies are negotiating how much the CHA will actually pay, she said. Meanwhile, four principals interviewed by CATALYST and the Reporter did not fully understand the transportation plan. “Unfortunately, the board doesn’t provide money unless [students] are homeless or part of a special education program,” said Booker T. Thomason, principal of Zenos Colman Elementary School, 4655 S. Dearborn St. During the 1999-2000 school year, as surrounding Robert Taylor buildings were evacuated, Colman’s enrollment fell nearly 25 percent, to 485. Policies governing transportation assistance for homeless students are well publicized. A 1992 lawsuit filed by the Chicago Coalition for the Homeless on behalf of homeless families ended last year with a consent decree requiring that the schools provide homeless children with transportation back to their schools of origin. And officials agreed to assign a liaison for the program to each school and to widely promote it, said Laurene Heybach, director of the coalition’s law project. Davis said she thought all school principals with CHA students had been told of the transportation policy. But she added that she plans a mandatory principals’ meeting this summer, and “I will make that an item on the agenda and cover it in-depth.” She also acknowledged that the school system should start “identifying and providing more information to the principals” to ensure that CHA children make a smooth transition. For many CHA families, the subject of schooling “usually doesn’t come up in a typical counseling session,” said Tiffany Jimerson, a counselor with the Leadership Council for Metropolitan Open Communities, a Chicago group that helps CHA families find new homes. Their priority is to find decent, safe homes, she said. She rented an apartment in Belmont Cragin on the Northwest Side. Her daughter Ebony, then 9, left Jacob A. Riis Elementary School, at 1018 S. Lytle St. near ABLA, and later attended Laughlin Falconer Elementary School, 3020 N. Lamon St.. Robinson’s 11-year-old daughter Amber still attends Falconer. Ebony, who had done well at Riis, ended up dropping out of Edwin G. Foreman High School in January 2000, and is now attending a community college to get her high school equivalency diploma. Like the Robinsons, former CHA children often get no special assistance to help them adjust, principals said. And those children can be easily overlooked. “They don’t come in with –˜ABLA’ stamped on their foreheads,” said Gary Moriello, principal of William E. Gladstone Elementary School, at 1231 S. Damen Ave., a mile from ABLA. “Principals should be particularly alerted” to children displaced from public housing, said Barbara Radner, director of DePaul University’s Center for Urban Education. Not only have they been traumatized by the loss of their homes, but they also can be stigmatized. Policymakers and parents had hopes that moving children out of CHA high-rises would reduce stress and improve academic achievement. Those hopes have not been realized. With few exceptions, leaving the CHA made little or no difference in test scores and dropout rates, according to a November 2000 study by Brian A. Jacob, research analyst at the Consortium on Chicago School Research. More than 80 percent of CHA residents who left their home schools between 1995 and 2000 ended up in schools where more than 90 percent of the students were black, according to consortium data. And 85 percent attended schools where at least 90 percent of students were classified as low-income. Three-quarters attended schools where 30 percent or fewer of the students met or exceeded national standards in reading on the Iowa Test of Basic Skills. All 23 home schools were predominantly black and low-income, and all except two were low-scoring. One exception is Ludwig Von Beethoven School, at 25 W. 47th St., in Robert Taylor. Among the six schools that serve Taylor, Beethoven had the highest number of returning former residents last fall, 98–”or 13 percent–”of its 752 students. And 135 students traveled more than 2.5 miles to attend Beethoven. “Parents say, –˜I don’t want to take my child from here,’ and I say, –˜We don’t want [you] to take your child out,’ ” said Principal Frances M. Oden. Beethoven’s test scores over the past decade defy the stereotype of a low-achieving public housing school. In 1991, 4.8 percent of its students either equaled or surpassed national norms in reading; by 2000 that figure was 46.6 percent, school data show. Between 1995 and 2000, the CHA demolished 30 percent of the original 16,839 units in the five developments. It will demolish another 9,148 units between 2001 and 2005, and the five developments will be redeveloped as mixed-income areas, according to the December 2000 Plan for Transformation. The CHA estimates 6,000 additional families will be displaced into the private market by 2005. Experience suggests their children will move to schools far from their original neighborhoods. And if they return, it may take a long time. The CHA doesn’t plan to finish building all replacement units for Taylor until 2009. Meanwhile, the schools face another problem: declining budgets. State and federal Chapter 1 funds that schools use to help reduce class size, get extra training for teachers and pay for enrichment programs are tied to the number of low-income students. So funding drops as enrollment falls, and many CHA-area schools may be forced to cut positions, principals said. Colman school will receive about $600,000 for this school year, down from more than $1 million in 1995. It may even face closure. Colman originally had six Taylor high-rises in its attendance area; demolitions and closures have reduced that to four today. Thomason estimates 85 percent of Colman’s students are from Robert Taylor. Residents at 5247 and 5201 S. State St. received letters dated March 27 from the buildings’ management firm, announcing the buildings would close in 120 days and that residents must either use a Section 8 subsidy for a private apartment or move to another CHA building. When those buildings close, enrollment at nearby Mary C. Terrell Elementary School, 5410 S. State St., could drop to 100, Davis said. The school, which fronts on a vast, empty field where the high-rises once stood, more than doubled the percentage of students testing at or above national norms between 1999 and 2000. Davis acknowledged it would be “very difficult to maintain [an] academic program if you only have a hundred students.” But “at this point” she is unaware of any plans to close CHA-area schools, and she intends to help them stay open, she said. Dan Weissmann is a writer for CATALYST: Voices of Chicago School Reform. Contributing: Brett Schaeffer of CATALYST. CATALYST researcher Irasema Salinas and Reporter interns Cindy R. Barrymore, Danielle Duncan, Tim Hollander, Micah Holmquist, Eric W. Luchman, Kimiyo Naka, Ellyn M. Ong and John Stanovich helped research his article. Two of every three residents surveyed this spring at the Robert Taylor Homes on Chicago’s South Side oppose the Chicago Housing Authority’s proposal to demolish the development and move some tenants into the private housing market with federal Section 8 subsidies, The Chicago Reporter has learned. The Reporter’s analysis of preliminary results for April and May show that 68 percent of 193 Taylor families did not rank Section 8 among their top three housing options.